Scott Cummings is a Buffalo-born, New York based filmmaker. He grew up in a working class Union family in the shadow of the same factory his parents met at. He received his BA in Russian Studies and English from SUNY Buffalo, where he was introduced to Buffalos vibrant experimental film/video history. After 18 months living in Tver and Moscow (Russia), he relocated to Tokyo, Japan and spent three years teaching, spending much of his free time playing in post-punk and noise bands. In 2004, he moved to Los Angeles and received his MFA in Film Directing at the California Institute of the Arts. He currently makes a living as a commercial editor. His work has screened at MOMA, BAMcinemaFEST, Visions du Reel, CPH:DOX, Chicago Underground Film Fest, the Centre Georges Pompidou and more. 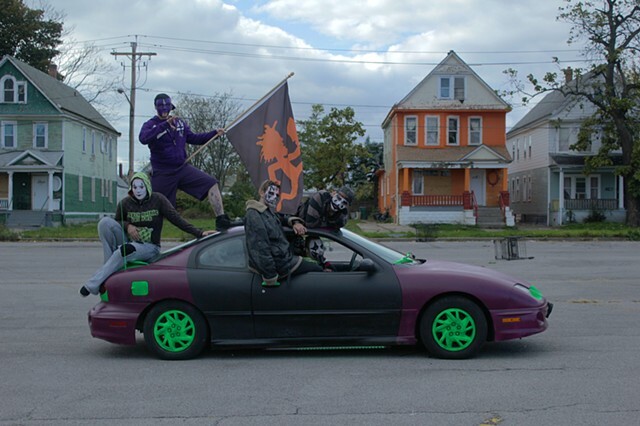 His film BUFFALO JUGGALOS was awarded the Grand Jury Prize for Live Action Short at the 2014 AFI Fest. He was named one of Filmmaker Magazines 2014 25 New Faces of Independent Film. His most recent film is ADVERSARY for field_of_vision. His current project is REALM OF SATAN. I am not currently accepting editing work until July/August 2019. NARRATIVE: I am represented by Matt Coatsworth at UTA / United Talent Agency. I do not field direct inquiries. EXPERIMENTAL/LOW-BUDGET/DOCUMENTARY: I do not edit this type of work currently.